I’ve assembled this collection of clean eating products and kitchen tools because so many readers ask what I use in my own kitchen. Recipe development is my job—the tools I use have to be sturdy, efficient, and reasonably priced. I am picky about ingredients, so what you see here is what you’d find in my own pantry and is the best I’ve found. I am not compensated to list these items, but some of the products include affiliate links. Ordering through these links provides a small commission to me and does NOT impact the price of the products listed in any way. 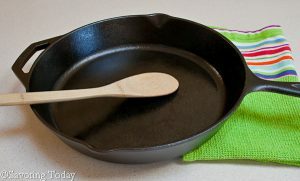 A 12-inch cast iron skillet is an indispensable workhorse in the kitchen for searing, baking, broiling, or frying. This 14-inch cast iron pizza pan replaced my baking stone. 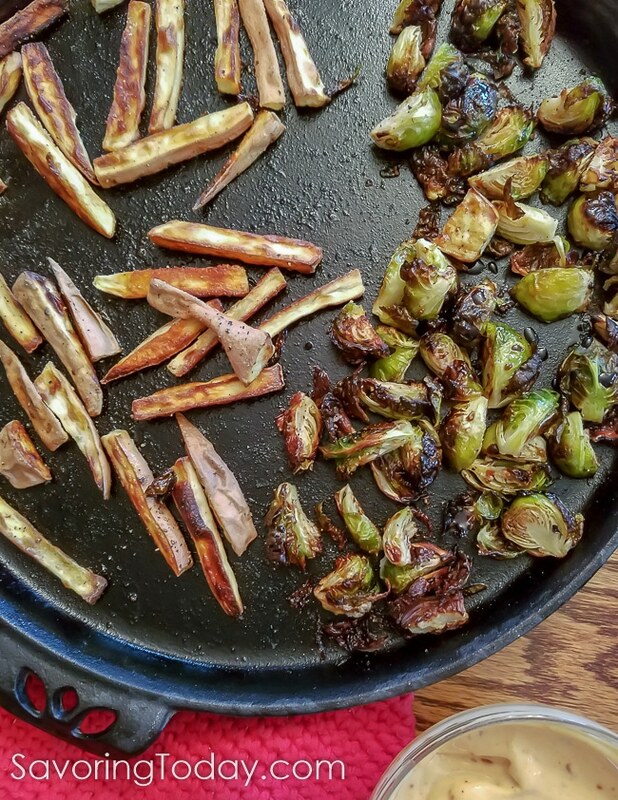 It's my go-to for roasting vegetables, and pizza crust comes out perfectly browned and crisp. I like that I can use it in the oven or on the grill. 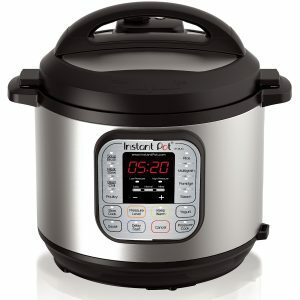 I chose this Instant Pot DUO60 6 Qt 7-in-1 Multi-Use Programmable Pressure Cooker because I wanted the added feature of making my own yogurt. 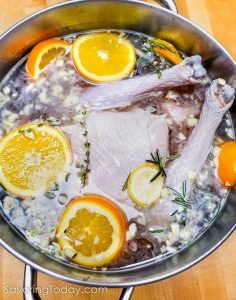 Everyone needs a good stockpot for a double batch of chili, brining turkey, or making a regular batch of chicken stock. 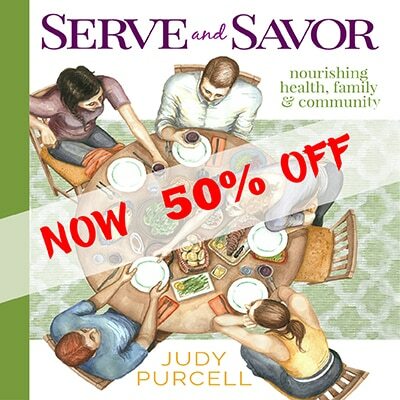 Our own cookbook to make it easy to avoid common processed foods while preparing delicious meals you'll be excited to serve (including gluten-free). 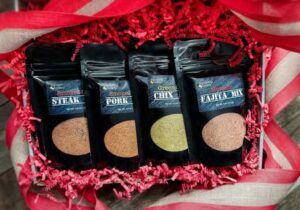 Our own line of gourmet spice rubs ideal for beef, pork, and chicken, including fajita seasoning mix. Clean eating and Paleo Diet friendly. Mismatched containers and lids are the worst! 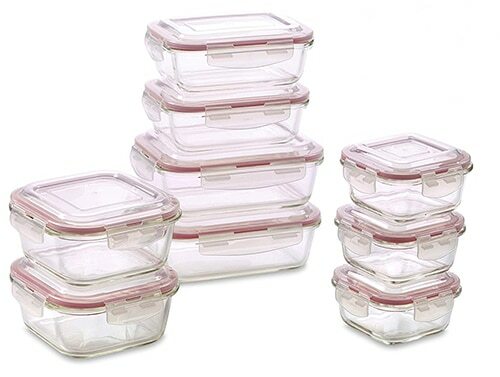 This glass set is sturdy enough for freezer, microwave, and oven safe. The square shape saves space in the fridge and the sizes are just right for leftovers or food prep needs. 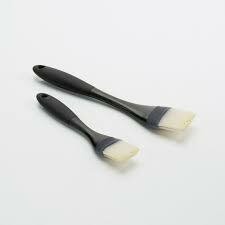 This pastry brush won't lose bristles and it has unique channels in the center of the brush that hold more sauce or butter for task. This Victorinox Fibrox 8-inch Pro Chef's Knife is comfortable, lightweight and it holds a sharp edge better than any (more expensive) knifes I've owned. We grate a lot of Parmesan, it's a thing for our family. 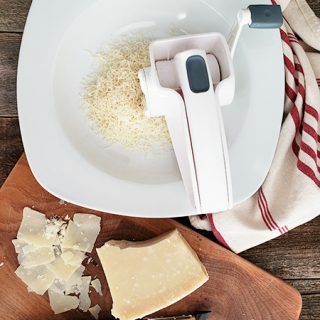 Zyliss is the only grater that has stood the test of time. 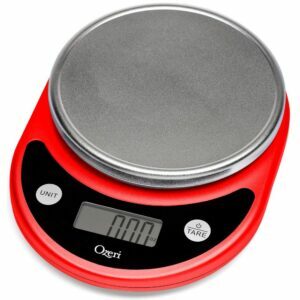 This scale has held calibration through heavy use. The display sits forward enough to easily read and the controls are straightforward. 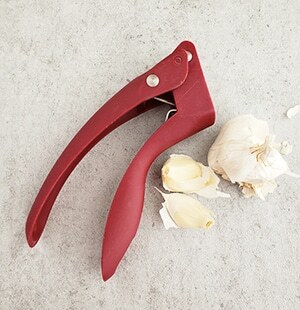 I like the way this Kuhn Rikon garlic press turns almost inside-out so the screen is easy to get to and clean. 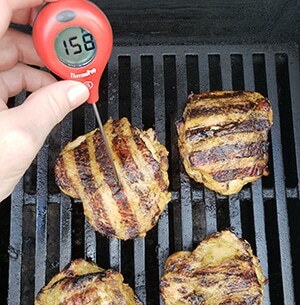 An instant-read thermometer is a must-have in every kitchen and essential for better grilling. The ThermoPop is the best quality for the $30 price range, and I've tried many. 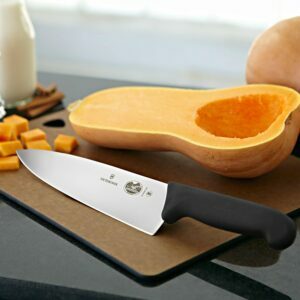 Tough, easy to sharpen, essential in every kitchen. Too many home cooks put up with dull knives. 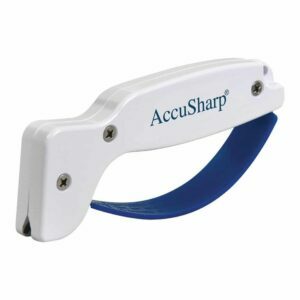 I know it doesn't look like much, but this simple sharpener will revolutionize your kitchen life. 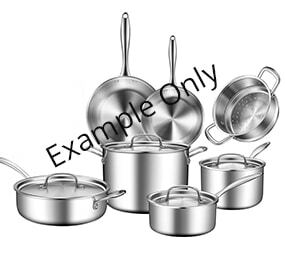 Durable stainless steel with a straight top edge for easy leveling make these a favorite. 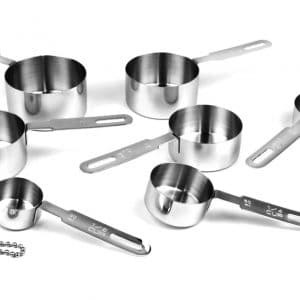 I especially like the 1/8, 2/3, and 3/4 cup that comes with the set. A tablespoon is a tablespoon, until it doesn't fit in every jar, then it's annoying. 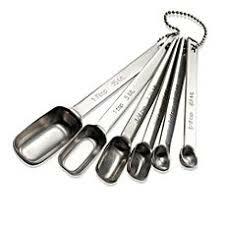 These spoons are shaped to fit spice jars and are smooth from handle to scoop for easy leveling. 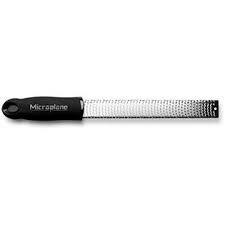 Zesting citrus or grating ginger, lemon grass, and nutmeg, a Microplane does it all. 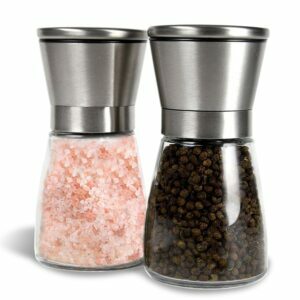 Large capacity, easy to fill and customize grind, and they sit upright so there's no mess left behind. I especially like how fine it grinds salt for popcorn. 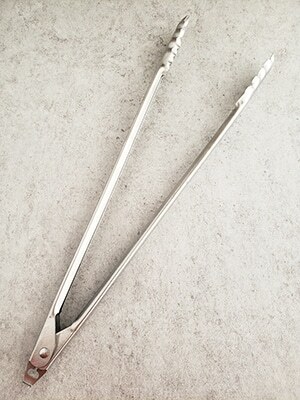 I reach for these Edlund 16-inch heavy duty tongs most because they don't cramp my hands and the scalloped edge securely manages food. The length is ideal grilling or dealing with hot oil at the stove. 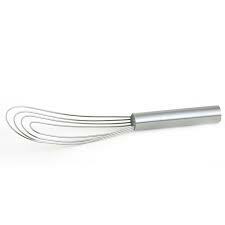 A flat whisk reaches the corners of a pan when making a sauce where a balloon whisk cannot. 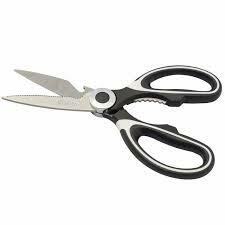 You won't believe you went so long without this handy tool.